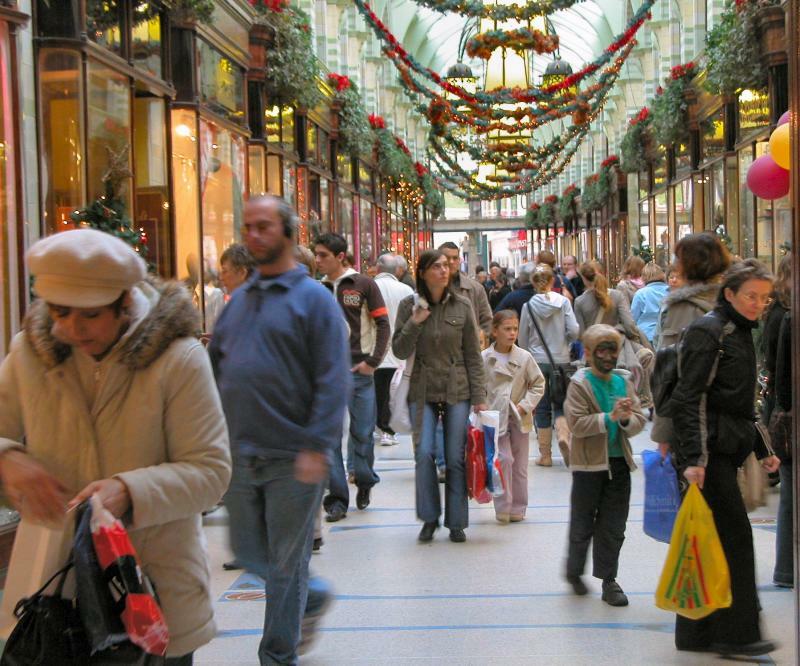 According to a new survey 40% of Canadians plan to spend less this holiday shopping season, especially in Toronto (46%) which has been hard hit by the recession in the United States. The survey was conducted for consulting firm Deloitte & Touche, which did an identical survey in 2007 in which 25% of Canadians said they planned to spend less, shortly after the American recession had started. The study also found that most shoppers will be looking for bargains and home essentials, preferring to buy things they need over luxury items. 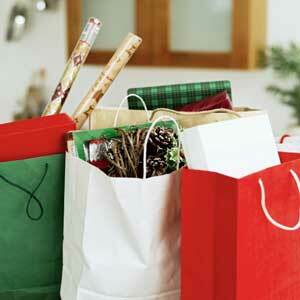 Fewer Canadians have a "must have" gift on their Xmas Wish List, saying they'd be happier cutting back on spending. 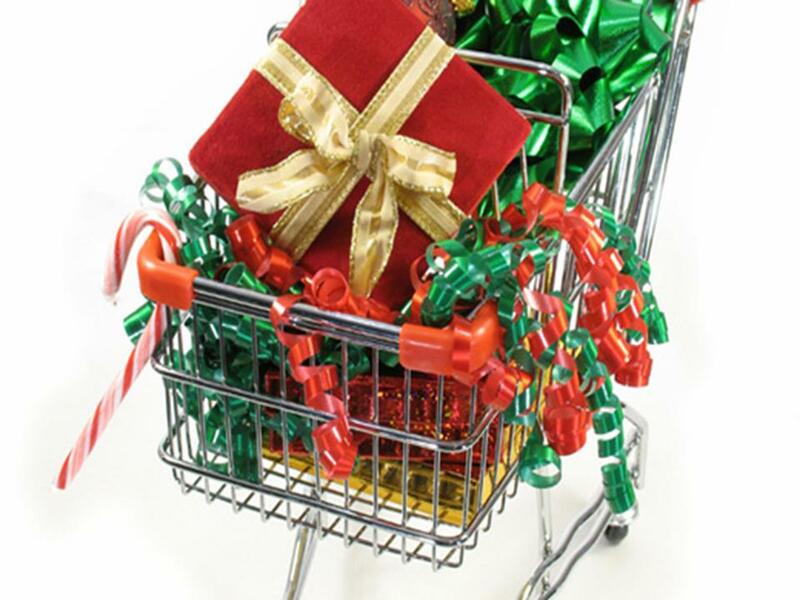 37% of Canadians said they plan to buy some of their gifts online this year. Fewer Canadians will be shopping across the border in the United States too, now that Canada's dollar has fallen back to approx. 80 cents compared to the U.S. greenback. Only 41% of Canadians plan to do some cross-border shopping, down from 64% at this time last year. Not to worry however. Consumers always spend more than they intend during the holiday season and with Canadians currently enjoying lower gas prices they'll have a little more cash in their wallets. Almost two-thirds of Canadians plan to buy gift cards, a figure that rises to 71% in Toronto, even though 28% said they'd had at least one gift card expire before they could us it. That will no longer be an issue in the three provinces that have banned expiry dates, including Ontario, Manitoba and Alberta. Many stores are staying open 24 hours this holiday shopping season amid the recession and stiff competition for the increasingly time-pressed consumers. Even shopping malls said some of their larger tenants with separate entrances off the parking lot plan to be open 24 hours closer to Christmas. All-night hours are particularly popular with large general merchandise stores and supermarket chains, though even the upscale department store will be open all night in six locations closer to Christmas Eve. The retailers say they're doing it to keep time-pressed customers happy while others cite economic uncertainty as the motive for extending store hours. But few are claiming it will be profitable. Just more competitive. There may not be much more than goodwill in the endeavour. 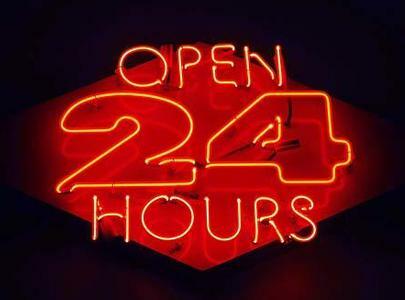 Wal-Mart Canada Corp., which started the 24-hour trend three years ago, is open 24 hours in most locations, where permitted. The late-night hours are popular with young families, singles and shift workers, the company said. "For many people, shopping is simply more convenient when the kids are in bed or you're heading home from an off-hour job or commitment," says Wal-Mart vice-president of operations Jim Thompson described it as "an unprecedented number of stores open for an unprecedented length of time." Wal-Mart rival Zellers said 50 of its stores would be open for 24-hour service, while another 44 would be open until midnight. Loblaw Cos. Ltd. also expanded its 24-hour service this year following the successful launch of all-night service in some stores for a limited period last year. The supermarket operator said it will offer 24-hour five days earlier than last year. The retailer is also extending the hours at many of its conventional Loblaw Great Food, Loblaws and Zehrs stores, to open at 7 a.m. and close at 11 p.m. to "help relieve customers' holiday stress" and to be more competitive. As house prices, retirement portfolios and job security become more uncertain, many Canadian retailers are cutting prices early on holiday goods. Some companies have taken it to the extreme, having 70% sales on almost everything. There are also signs of economic panic. Some stores are offering deep or widespread discounts and deals keep getting better as we get closer to Christmas. Most retailers bought their products for the holiday season six months ago when the dollar was stronger and economic forecasts were higher. Book retailer Indigo Books & Music Inc., which faced consumers' wrath over the price gap between Canadian and U.S. books last year, said Canadian book prices are now 20 per cent lower on average even though the Canadian dollar has lost value. A Statistics Canada report also shows consumer prices in October took their biggest monthly drop in nearly 50 years, suggesting we're actually seeing deflation of prices due to dropping oil prices. The main driver in the consumer price decline in October was prices at the pump, Statistics Canada said. In particular women's clothing, computers and car purchases/leases also showed price declines, while food prices rose. Furniture and appliances companies are facing the biggest challenge. Sears Canada Inc. has for the first time offered customers a deal where they can spread the payments on big-ticket items, such as sofas and TVs, over three years, a lot longer time period than usual. The Brick furniture chain has declared November 28th "Red Friday" to mimic "Black Friday" in the USA. That's the day after American Thanksgiving when U.S. retailers officially kick-start the holiday season with deep discounts and special offers. Lower prices aren't necessarily a good thing, because it means less profits and possibly more layoffs if companies don't reach their expected income levels or fall behind. You'd better watch out. There is a new combatant in the Christmas wars. "Why believe in a god? Just be good for goodness' sake," says ads appearing on Washington, D.C., buses running through December. The American Humanist Association unveiled the provocative $40,000 holiday ad campaign in November. 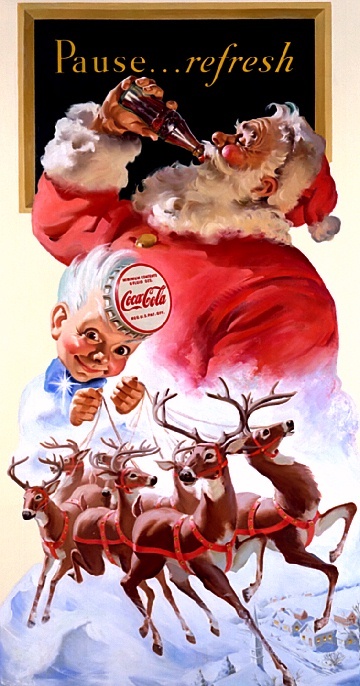 Using lyrics from "Santa Claus is Coming to Town," the Washington-based group is wading into what has become a perennial debate over commercialism, religion in the public square and the meaning of Christmas. "We are trying to reach our audience, and sometimes in order to reach an audience, everybody has to hear you," said Fred Edwords, spokesman for the humanist group. "Our reason for doing it during the holidays is there are an awful lot of agnostics, atheists and other types of non-theists who feel a little alone during the holidays because of its association with traditional religion." The ads and posters will include a link to a Web site that will seek to connect and organize like-minded thinkers in the D.C. area, Edwords said. The purpose isn't to argue that God doesn't exist or change minds about a deity, although "we are trying to plant a seed of rational thought and critical thinking and questioning in people's minds." The group defines humanism as "a progressive philosophy of life that, without theism, affirms our responsibility to lead ethical lives of value to self and humanity." Last month, the British Humanist Association caused a ruckus announcing a similar campaign on London buses with the message: "There's probably no God. Now stop worrying and enjoy your life." The humanists' campaign comes as conservative Christian groups gear up their efforts to keep Christ in Christmas. In the past five years, groups such as the American Family Association and the Catholic League have criticized or threatened boycotts of retailers who use generic "holiday" greetings. In October the American Family Association started selling buttons that say "It's OK to say Merry Christmas." The humanists' entry into the marketplace of ideas did not impress AFA president Tim Wildmon. "It's a stupid ad," he said. "How do we define 'good' if we don't believe in God? God in his word, the Bible tells us what's good and bad and right and wrong. If we are each ourselves defining what's good, it's going to be a crazy world." The Orlando, Fla.-based Liberty Counsel, a conservative Christian legal group, has launched its sixth annual "Friend or Foe Christmas Campaign." Liberty Counsel has intervened in disputes over nativity scenes and government bans on Christmas decorations, among other things. "It's the ultimate grinch to say there is no God at a time when millions of people around the world celebrate the birth of Christ," said Mathew Staver, the group's chairman and dean of the Liberty University School of Law. "Certainly, they have the right to believe what they want but this is insulting." Best-selling books by authors such as Richard Dawkins and Christopher Hitchens have fueled interest in "the new atheism" � a more in-your-face argument against God's existence. Less than 10% of Americans describe themselves as atheists or nonbelievers in 2007.